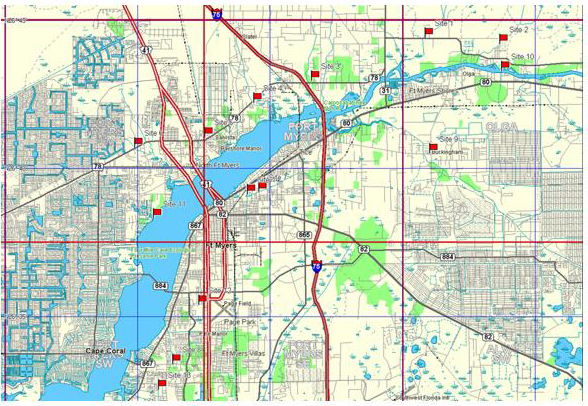 During 2000-2003, ERD performed a monitoring project to quantify external loadings entering the Caloosahatchee Estuary from the Caloosahatchee River, Orange River, wastewater treatment facilities, and 8 major rivers and creeks. Extensive field monitoring was conducted every 5 days during a 30-day period in the wet season and one 30-day period in the dry season in each of the 3 years covered by the study. Fourteen monitoring sites were included in this evaluation. Vertical field profiles were collected at each site, and direct field measurements of tributary flow rates were performed using the USGS-recommended Cross-Sectional Area/Velocity Method. 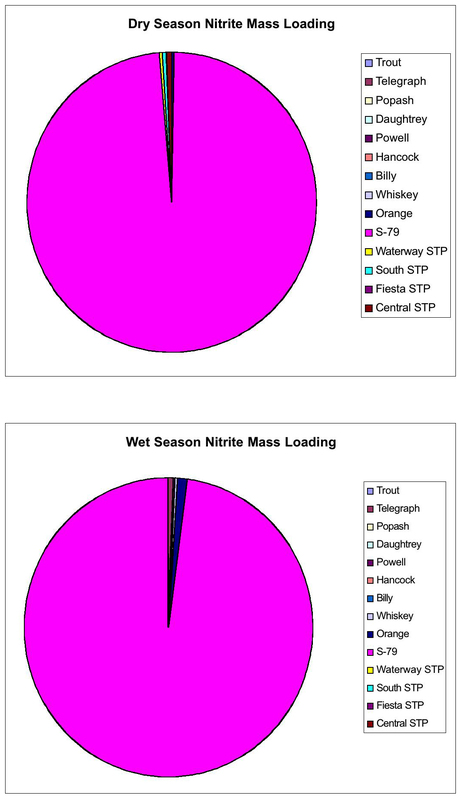 Water samples were collected at each site and analyzed by ERD for nutrients and TSS. The results of the monitoring program were used to provide estimates of mass loadings of nitrogen, phosphorus, and TSS into the Caloosahatchee Estuary from significant external sources during both wet and dry season conditions. Extensive statistical analyses were performed to examine relationships between seasonal loadings from each of the monitoring sites. Field monitoring and sample collection activities were also performed at 15 separate estuary sites during wet and dry season conditions over a 3-year period from 2000-2002. Estuary monitoring was performed every 10 days on day 1, 10, 20, and 30 of each sampling period. At each site, vertical field profiles were performed and surface water samples were collected for laboratory analyses. All collected samples were analyzed in the ERD Laboratory for nutrients, TSS, chlorophyll-a, and microbiological parameters. In addition, measurements of photosynthetically active radiation (PAR) were also conducted at each site. An extensive statistical analysis of the results from the estuary monitoring program were presented in both graphical and tabular formats. Water quality characteristics in the estuary were correlated with tributary loadings to examine cause and effect relationships.